Happy Grey Thursday! 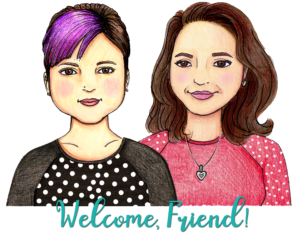 Welcome to Week 3 of our Crochet-along! We have two panels for you to choose from this week. Dance It Out was such a special part of the Meredith and Cristina relationship. It’s the ultimate reminder to forget all the drama and just dance it out. Download the Dance It Out chart. 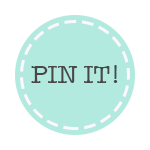 Download the Dance It Out written instructions. 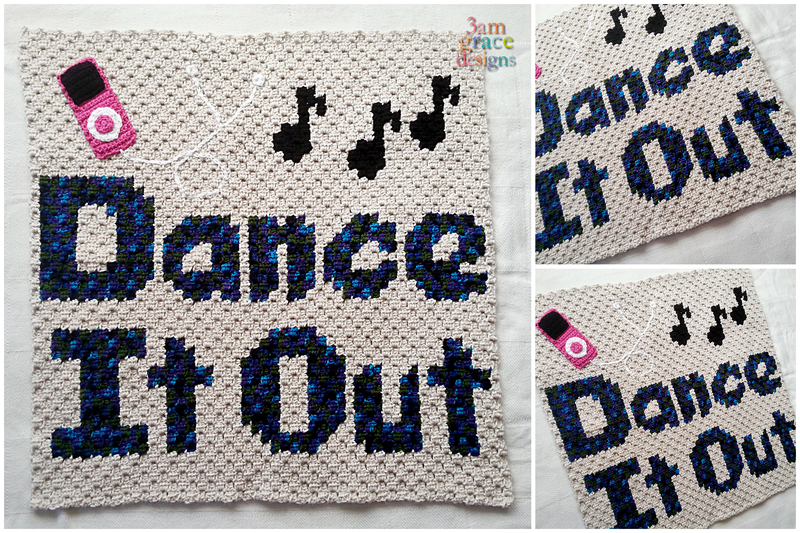 We added an Ipod Applique to our Dance It Out Panel to give it dimension. Sew or glue inside dial on the Center Dial then sew or glue the dial onto the ipod body. Sew or glue the screen onto the Ipod body in desired location, using picture as a reference. If you’d like to add earbuds, surface crochet the cords as desired. At the end of each cord, SC6 in last chain. Tumor on the Wall reminds us to be inspired and that there is always a way. Download the Tumor On The Wall chart. Download the Tumor On The Wall written instructions. 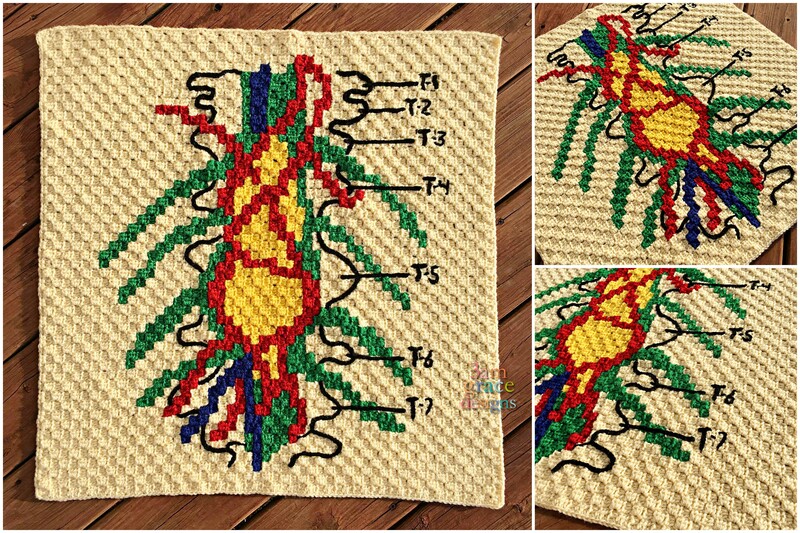 Our Tumor On The Wall panel is rich in detail with the T1 thru T7 and Vertebrae lines. We created a video to demonstrate how we achieved them. 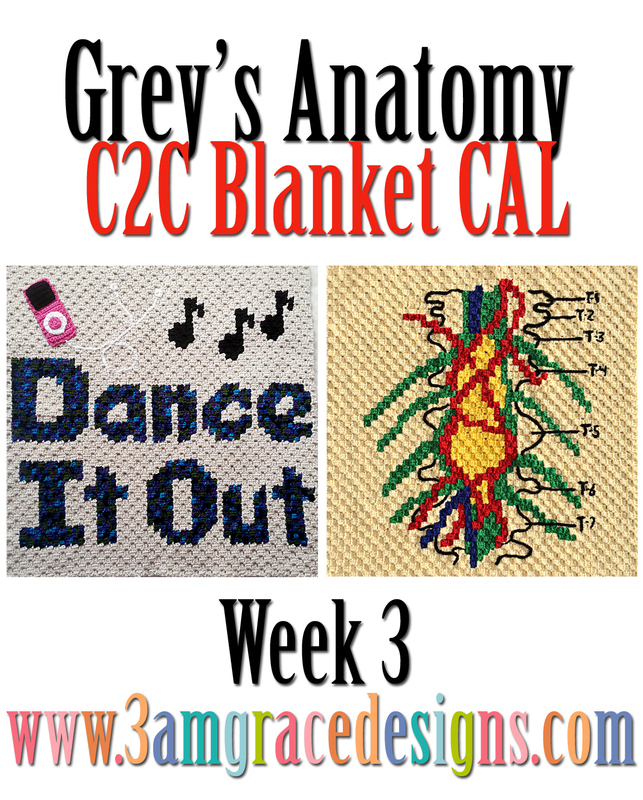 Be sure to check out Grey’s Anatomy C2C CAL – Week 1 and Grey’s Anatomy C2C CAL – Week 2 of our CAL if you missed it! See you next week! Happy crocheting! I LOVE this! I watched all the Grey Anatomies available on Netflix. Can’t wait for the next season to come out! Pinning this. Would love to put together an afghan for it.